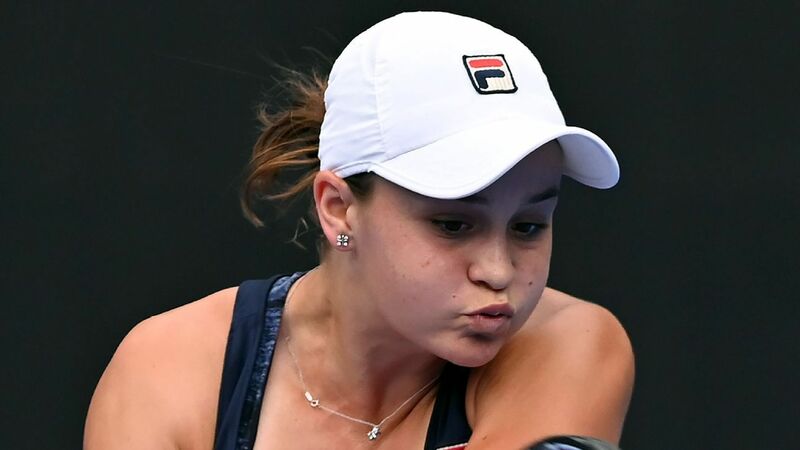 SYDNEY — Ashleigh Barty continued her strong run at the Sydney International with a semifinal win over Kiki Bertens, beating the Dutch player 6-7 (4), 6-4, 7-5 on Friday. Barty withstood 15 aces from Bertens in the 2-hour, 18-minute match to advance to her second consecutive final in Sydney. She will play two-time Wimbledon champion Petra Kvitova or Serbian qualifier Aliaksandra Sasnovich in Saturday’s final. Kvitova and Sasnovich were scheduled to play later Friday, although their match was being delayed by rain. After beating 2017 French Open champion Jelena Ostapenko in the first round, Barty has defeated No. 1 Simona Halep, the 12th-ranked Elise Mertens and Bertens. Italian Andreas Seppi advanced to Saturday’s men’s final by beating Diego Schwartzman 7-6 (3), 6-4. Seppi beat top-seeded Stefanos Tsitsipas in the quarterfinals and will play in his first final since June 2015 in Germany. Seppi will play the winner of the later semifinal between Australian Alex De Minaur and Gilles Simon.